Seemingly impossible engineering feats, global wildlife explorations, early investigations into iron-age man, world-renowned artist sketching trips; all these amazing activities were happening in Worcester a hundred and fifty years ago. Worcester was a burgeoning cultural city in a busy changing landscape. Visitors can discover and celebrate this rather special period from Worcester’s past in this exhibition drawn from the museum collection and some special items on loan. Exhibition highlights are drawings by naturalist John Gould, land and cityscape watercolours by H. H. Lines and local artefacts discovered by famous archaeologist Pitt Rivers. 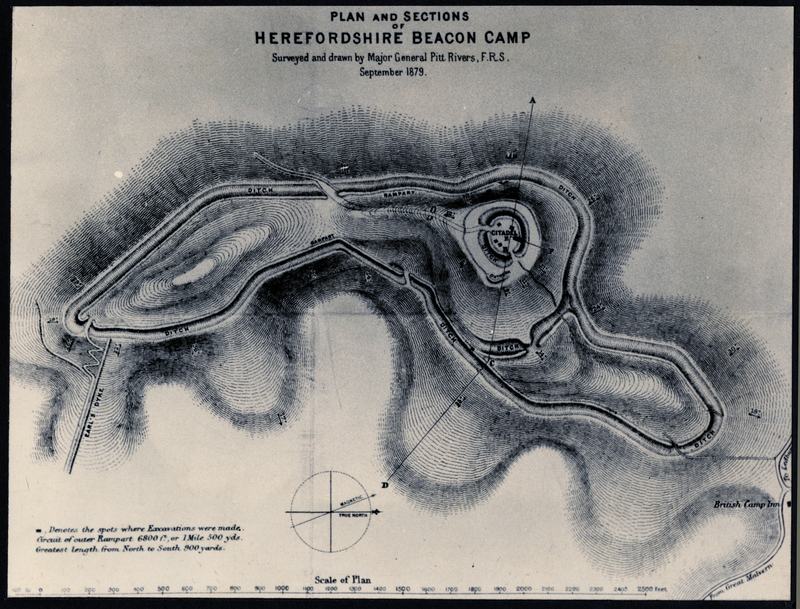 (image)Cross Section Herefordshire Beacon, 1879 excavation by Pitt Rivers © Worcester City Museum Collection.